Renowned artist Robert Aldern worked with his friends and students on this stunning piece. 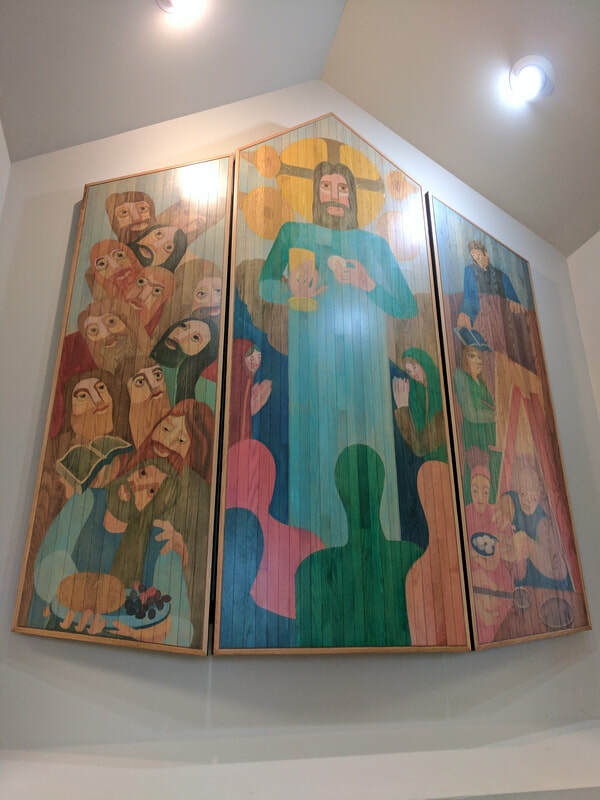 The "This Is My Body" reredos was donated by Bob's wife Joey and the Nordlie family in memory of their beloved mother, Gail Nordlie. For inspiration, Bob chose the 12th chapter of Paul's first letter to the congregation in Corinth. 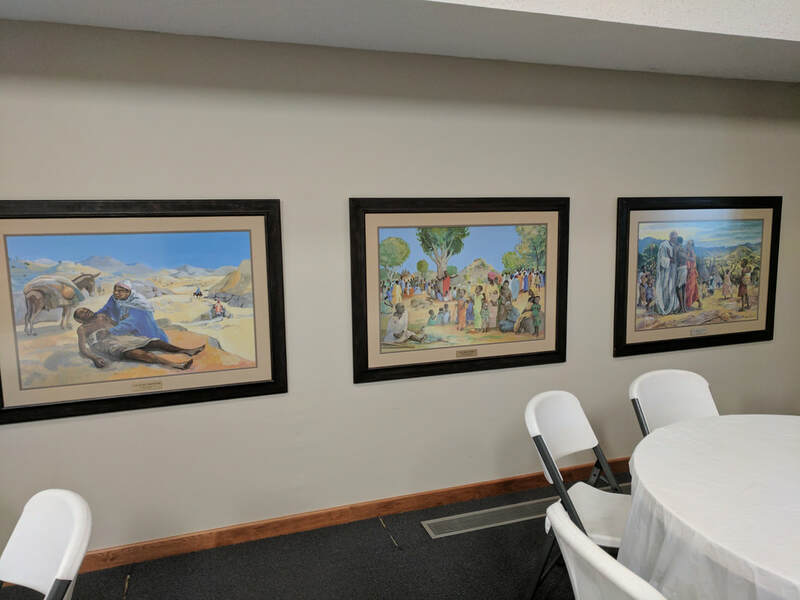 The left panel depicts Christ's disciples. In the center, Jesus offers his body in the form of Holy Communion. And, on the right, various artisans and laborers depict Christ's body today. For more about the artist click here. 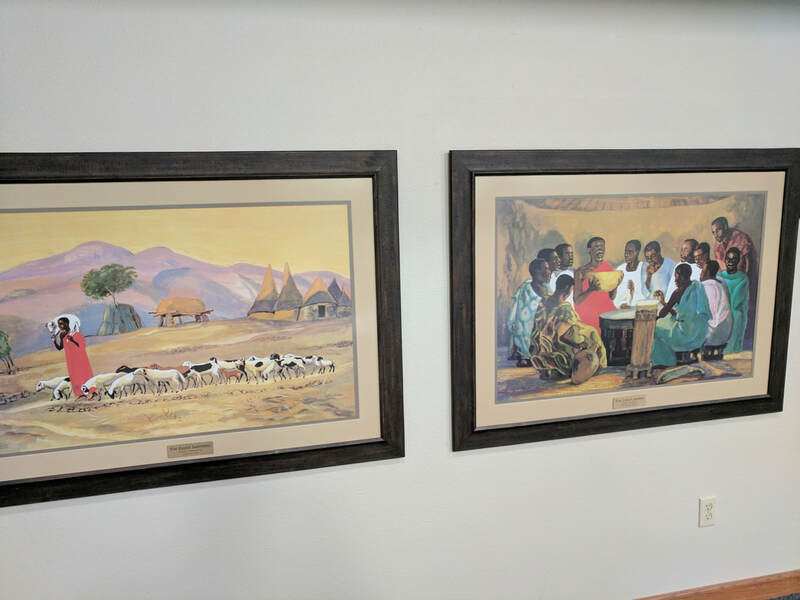 The "Jesus Mafa" art in the narthex at MNH was a special project coordinated by the Rev. Eric Norgard. The set is part of a larger collection designed for use in catechesis in Cameroon. Individual frames were funded by the generous donation of a number of families. 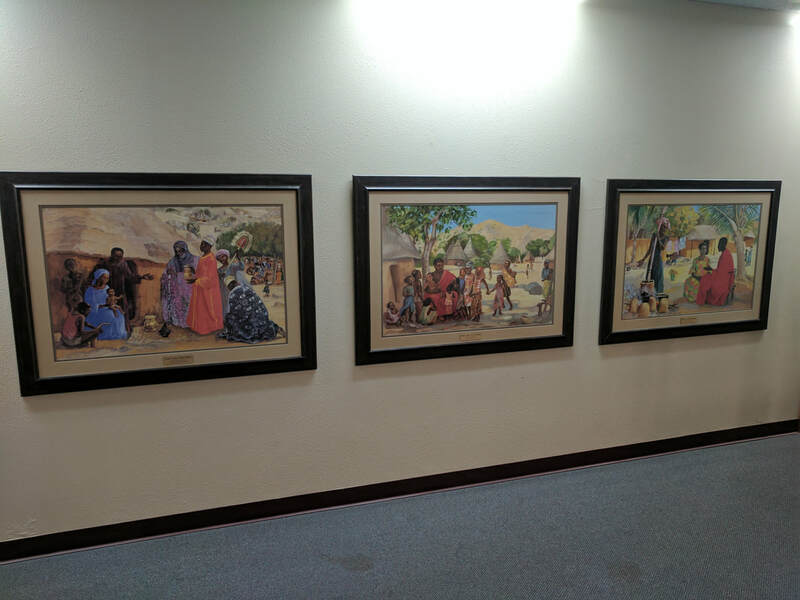 For more information about the "Jesus Mafa" art click here.